In a world full of both internal and external risks, companies of all sizes are increasingly turning to improved physical access control to protect their valuable assets and data, ensure regulatory compliance and limit their exposure to liability. The ACTAtek provides perhaps the most critical tool in combating these risks – control over where and when someone has access to a particular resource, asset or area! The ACTAtek can be used to monitor and limit access throughout a facility, ensuring employees and visitors alike only have access to approved areas. With a variety of authentication technologies available, including PIN, Proximity/Smart Card and Biometric, the ACTAtek system can be tailored with off-the-shelf products to fit the security needs of each individual area. Whether from the end user’s point of view or that of the installer; the ACTAtek was designed with ease-of-use in mind. Initial configuration of the system is similar to that of a network printer. 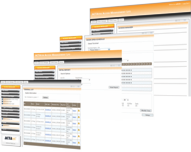 In a multi-unit system, the Actatek relies on the Access Manager web application to coordinate the security network. Once installed on a server, Access Manager can be accessed via the network using a simple web interface. Since Access Manager does not require a dedicated client application to be installed on each workstation, the user and policy management can be performed from multiple workstations simultaneously. The ability to encrypt the network traffic with 128bit SSL encryption allows an administrator to securely manage the system anywhere in the world – even on unsecured networks like the World Wide Web! 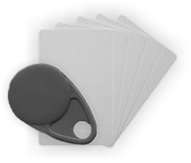 The ACTAtek system is the culmination of over ten years of production experience in biometric and card based physical access control solutions. Now in its fourth generation, this latest ACTAtek unit builds on the field tested platforms of former generations while incorporating the latest advancements in biometric scanner, card access and network appliance technologies. ACTAtek has partnered with the leading security vendors, including HID Corporation, Philips Electronics, Legic and EM Microelectronics, to provide the most flexible solutions for both new and existing installations. With over 75,000 worldwide installations in the past ten years, the ACTAtek has developed a proven, long-standing track record. 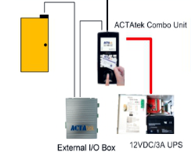 The ACTAtek’s use of common, standards-based hardware and wiring configurations allow installation and maintenance costs to be kept to a minimum. Only a single server application needs to be installed and configured. There are no client applications to configure or maintain.